We finally started to get eggs from some of our young batch of hens over the break. The first were a Black Giant and an Araucana, both of whom popped out their first eggs on the same day in the week before Christmas. 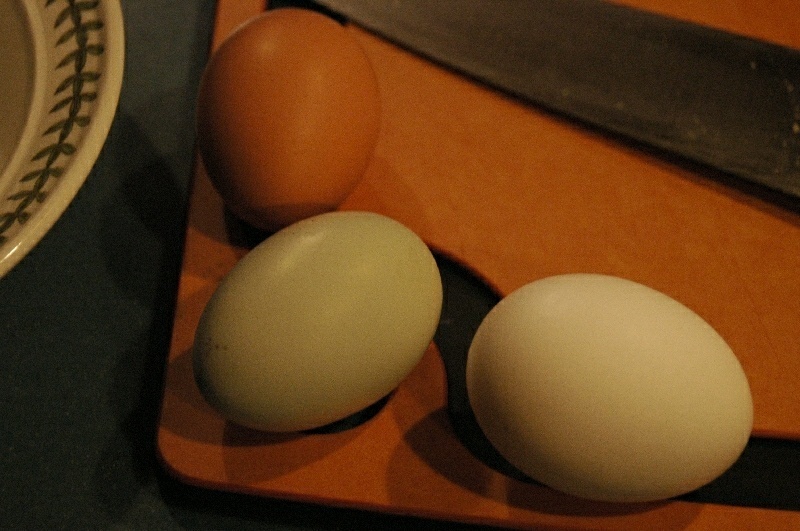 This picture shows those first two eggs (along with a grocery-store white egg for color comparison.) The Black Giant's is the brown one, and the Araucana's is the, yes, green one. By the end of the break, five of our ten new girls were producing, including both Araucanas -- and both of them are laying green eggs.